VERNON, NY- The month of June at the Utica-Rome Speedway kicks off with another action-packed show of DIRTcar action on Sunday, June 4, when A-Verdi Storage Containers and Wilber-Duck Chevrolet presents the return of the GO Nuclear Late Model Series plus the Gates-Cole Auto Insurance Modifieds, Broedel Energy Sportsman, Pro Stocks, and Novice Sportsman. The GO Nuclear Late Model Series will return to the Vernon oval for their annual running of the Gnome Cup, which will pay $1,500 to win which should draw many of the top Late Model teams in the region. This will be the third running of the event which has provided some incredible racing and surprise winners. Charlie Sandercock was the victor in the inaugural event with Aaron Jacobs scoring the upset win in 2015. In the Gates-Cole Auto Insurance Modifieds, Matt Sheppard is again off to a quick start with two wins in the first three events. A talented field of drivers is nipping at his heels, however, as they look to find victory lane. Danny Varin, Pat Ward, Bobby Varin, Tim Fuller, Mike Mahaney, Marc Johnson, Rob Bellinger, Claude Hutchings Jr., Alan Johnson, and many more are part of the field on Sunday nights. During the offseason, defending Broedel Energy Sportsman track champion Matt Janczuk made it his intention to not run weekly and compete for the title again, but heading into this weekend Janczuk is shown as the point leader. So far in the young season the standing show Chris Mackey, Kyle Inman, AJ Filbeck, Brent Joy, AJ Miller, Stephen Denton, Daryl Nutting, Tyler Thompson, Jason Rood, and Zach Sobotka in close pursuit. 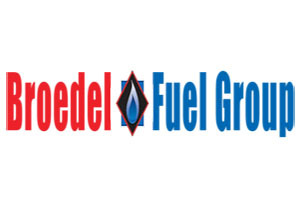 Each week, solid fields of Broedel Energy Sportsman has led to close competitive racing. Each week, the full fendered cars of the DIRTcar Pro Stocks put on a thrilling show for the fans and leaves them wanting more. Currently, it is Mike Welch atop the division standings after his victory this past Sunday over Luke Horning, Nick Stone, Todd Hoffman, Shane Henderson, Jim Normoyle, Ernie Staelens, Gus Hollner, Jerry Streeter, and Aaron Page. 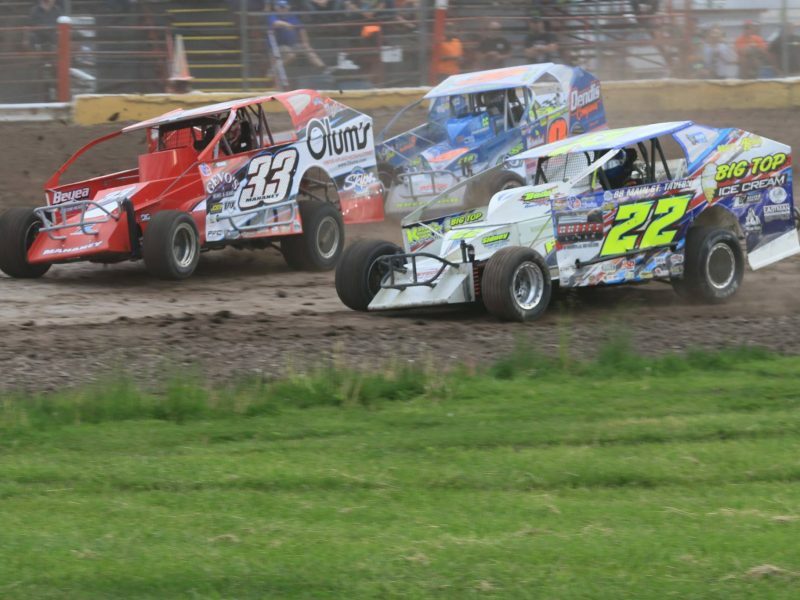 Due to weather, this will be the first time the Novice Sportsman will compete at the Utica-Rome Speedway. It is a division set up similar to other area tracks with a limited payoff to allow drivers with limited or no experience to compete with driver’s similar talent and experience. No feature winners will be allowed or drivers with extensive experience in the Sportsman or higher divisions allowed. Utica-Rome Speedway management retains the right to not allow a driver to compete in the Novice Sportsman. A-Verdi Storage Containers returns to Utica-Rome Speedway in 2017 as a marketing partner after being a part of some of the speedway’s biggest events the past couple of seasons, the most recent was the exciting Super DIRT Week special last October. A-Verdi Storage Containers, a local family owned business, provides a variety of on-site storage and office products for Residential, Construction, Special Event, and Commercial Industrial customers. Secure extra space is made convenient because they stock an array of units for rent, lease, or purchase and provide prompt on site delivery. As a local family owned business, born and raised right here in New York, they understand the needs of the community and local knowledge and expertise to provide customers with superior service. To see what kind of products and services they provide, you just have to look at the numerous construction sites throughout the area, or at special events such as Super DIRT Week. For more information, please log on to www.averdi.com or call 1-800-248-3734. Wilber-Duck Chevrolet has been another big marketing partner in 2017 as sponsor of numerous events. Their service goes beyond the sale of new and used vehicles as they provide Chevrolet drivers in the Oneida, Utica, and Rome areas with parts and service to tires and accessories. They have immersive website at www.wilberduck.com that makes it easy for customers to browse their inventory, get a quick quote, and research financing options online. 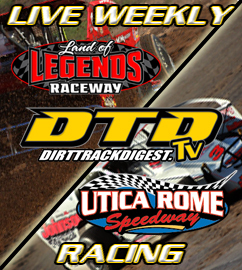 Gates for this Sunday’s big show open at 3:30 p.m. with racing starting at 6 p.m.
For more information, including full point standings schedule info, and more please log on to www.uticaromespeedway.com or call the speedway office at (315) 829-4557.